It’s June! It’s Pride Month! Happy Pride Month! Did you know Tchaikovsky was gay? You do now. Please don’t think that I sat down for two seconds and thought, “it’s Pride Month, who’s gay?” because that is certainly not how this column comes together (okay, sometimes it is, but). I was eager to revisit Tchaikovsky after the very long six months since I last wrote about him. I missed him. I did read that big book after. (Just wait until I miss Brahms.) And I also wanted to write about a ballet, and part of me thought it would be a good troll, just for fun, haha just kidding, to write about The Nutcracker because, I don’t know, it’s June, it’s 90 degrees in Chicago, it’s kinda funny. But that was stupid. Bad joke. So we’re doing Swan Lake this week, which works fine in terms of Pride Month because Natalie Portman and Mila Kunis kiss in my generation’s only cultural touchstone to Swan Lake. I wanted to title this piece “Swan Lake is gay” but it’s also not a good idea. I mean, I could have done it because I am gay, but it’s just not worth it. Okay, anyway. Here’s the thing about Swan Lake. You can listen to the ballet in full (definitely recommended) but for time, I will recommend the suite which is sort of a “greatest hits” type of deal. If you like these six samplings, you can go back and enjoy the full two-and-a-half-hour ballet. The suite is essentially just what I want to listen to when I’m like, “Ah, jeez, what’s the deal with Swan Lake again?” A refresher, like how I only ever watch the first 45 minutes of Atonement and then shut it off. But okay, regardless of how you listen, let’s get to the music of it: you definitely know the opening refrain. Famous strings, famous oboe, famous harp. There’s an air of mystery about the opening of Swan Lake (which is really just an overture), you know the type of tone, one that says, “Here’s a story from the past about a couple of idiots in love.” It’s frightening, though, parts of this melody, especially that big brassy theme at the end. It’s sharp and cutting, as if to warn, “Do not keep listening if you only want to have a good time.” Luckily for us, the whole thing is really a good time, teens drowning themselves and all. The ballet really kicks into gear with the waltz. This is the melody that introduces Siegfried and gives you a sense of how playful and joyous he is. This is a boy’s waltz: purposeful, noble, not particularly delicate or whimsical so much as it is regulated fun like, I don’t know, baseball or something. It’s the piece of music in Swan Lake that gets me the most excited about what it is. I love the cascading woodwinds over the waltz melody. I love the big timpani rolls ushering each section. God, I even love the triangle in this piece. The third part of Swan Lake is known as the Dance Of The Little Swans and it’s a 90-second mischievous interlude that portrays, God, I don’t know, a dance of little swans? These things are shockingly literal, believe me. There’s good oboe here, which I’m often quick to discount as one of the bad woodwinds (flute is still on the top of my list). The fourth part is simply a scenic melody, and its emphasis on the harp ought to just lift you literally onto a higher plane of existence. It’s gorgeous. 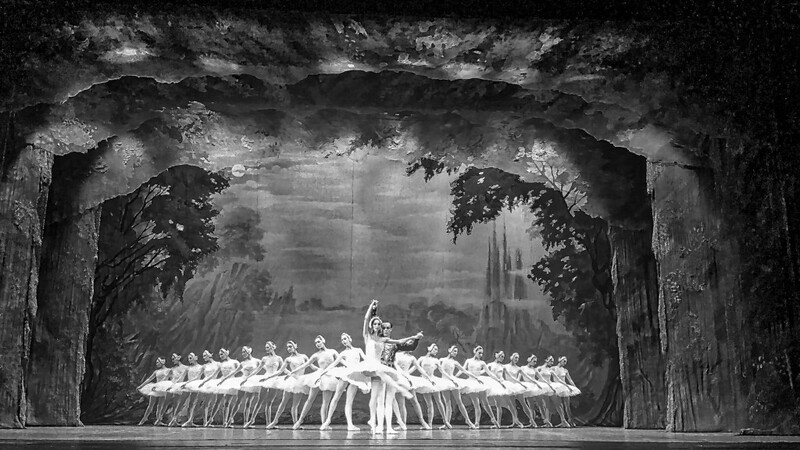 Swan Lake was Tchaikovsky’s first ballet, and it’s interesting to see how it set the tone for his other ballets. It’s such an achievement in melody and sound — colorful and passionate and playful. It reflected his self-confidence in his youth, before his personal troubles and depression and money problems. This was a man who struggled deeply with self-image and sexuality, and it’s perhaps his earliest music that has a semblance of confidence. I mean, listen to that violin solo at the 3:10 mark. This is pre-Tchaikovsky’s terrible marriage to Antonina Miliukova (who said she was a fan of his music but actually wasn’t, thus a good case for the necessity of the, “name three of their albums” meme) and it has the last gasp of someone whose work beyond may turn dark, unsettling. I’m spitballing, for sure, but this was written on the cusp of middle-age who was thinking and rethinking their legacy, both artistically and socially, and Swan Lake is one of a handful of pieces cobbled together from Tchaikovsky’s past. The final two parts of the suite are the Danse Hongroise (Hungarian Dance — not HUNGRY DANCE like I typed into Google) and the Scène Finale (self-explanatory). The Hungarian Dance has always struck me as odd, but that’s perhaps because I know things like the Hungarian folk dances of Brahms and co., so I’m like, Tchaikovsky! Get a new thing! But the last minute of it sure is charming, and it does harken to that slightly more Central European style. Plus, I mean, I’m a sucker for all of this percussion. Does this not make you want to buy a pair of crash cymbals? And then the end… I mean, this is a ballet that ends with teen suicide! It’s dark and intense and powerful and scary! Who among us has not attempted to drown ourselves in an aptly named lake to escape a curse? And it’s a little hard not to laugh at the end of Swan Lake because Black Swan really did ruin it. The ending, at least. “I was perfect,” I mean, Black Swan is a very cool-looking movie in which the script is insane and bad. I feel like I have to say that as a disclosure, which doesn’t necessarily justify how silly the ballet itself is, but that was the past. It still concludes, however, with the harp, Tchaikovsky’s final touch, to remind you he’s still behind it all. Fran Hoepfner is a writer from Chicago. You can find a corresponding playlist for all of the pieces discussed in this column here.